Using Drip for email? This integration is for you. This integration is available on the Standard plan and up. 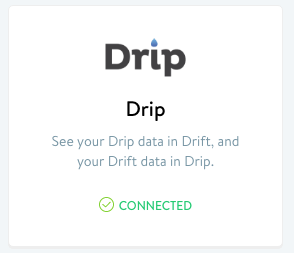 Now you can connect Drift with Drip’s email automation platform so you can see all of your data and events in both places. For example, inside of Drift, you’ll be able to see who’s subscribed to your Drip campaigns, opened your emails, and more. And inside of Drip, you’ll be able to see things like which of your email subscribers have had conversations with you via Drift. Chat us if you want to enable lead-scoring within Drip. And you will be good to go! Use Drift’s live chat to generate leads and collect emails addresses and then send them to Drip. 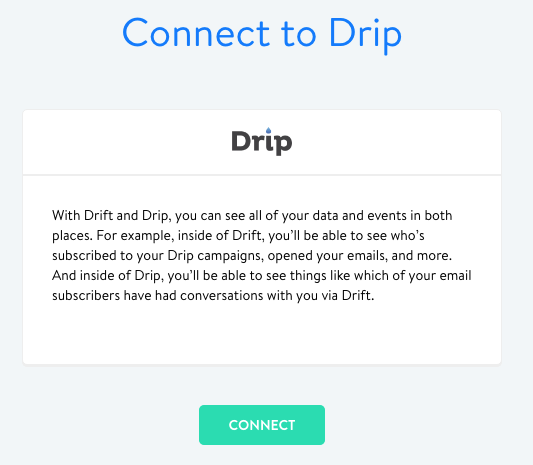 Send Drip emails to the people who have had conversations with you on your website via Drift. 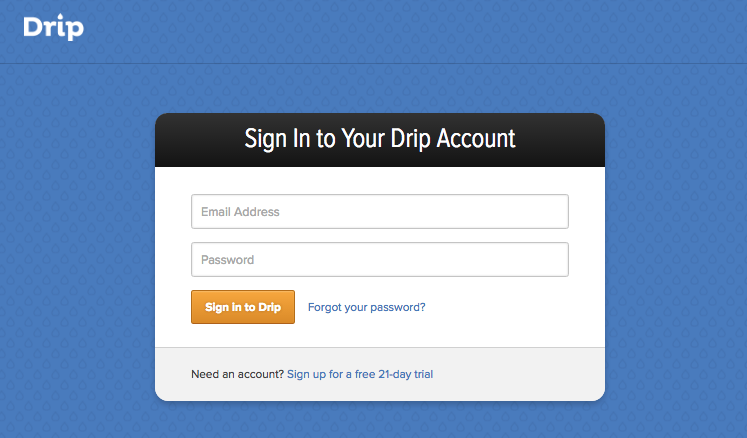 Re-target people who have received your Drip emails using in-app messages with Drift. You can see the data from your Drip Integration on the Contacts view under the "Events" filter.